Vicarage Road Coop Lindsworth ApproachYarningdale Road & Druids Heath Library. 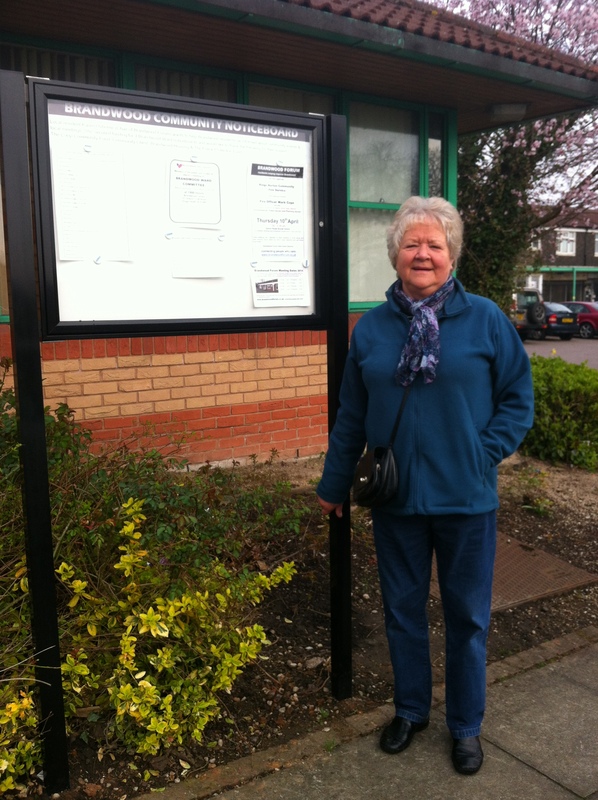 BF Chair Karen Osborne, wrote 4 different funding applications to get the notice boards and its taken nearly 1 year!! The boards display key events and information to help residents without internet access to be kept informed.